"Dog lovers stop me and my Yorkie Georgia on the street and ask "where did you get her groomed?" George, thank you for always bringing out her natural beauty!" 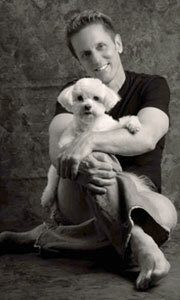 George McCarthy is a graduate of the Merryfield Academy of Animal Technology located in Fort Lauderdale , Fl. Since 1980, he has groomed in Florida, Wisconsin, Boston, Germany, Switzerland, and now New York City. He holds a bachelors degree in theatre arts/ dance. While attending the University of Wisconsin, he was the first to develop a multiple Mobile Pet Grooming operation in six different markets. First time puppies and senior dogs, with special needs are one of his forte's. George is very passionate about his work and takes pride in satisfying his customers.